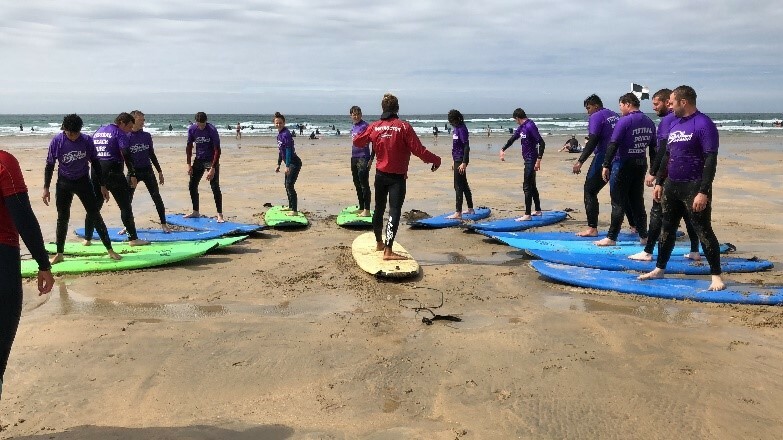 The adventure training week was set up by Staff Sergeant Seral Hassan in 2017 as an opportunity for Cadets from all backgrounds to take part in activities that they would rarely have a chance to take part in on their Annual camp or through the year due to other training commitments. 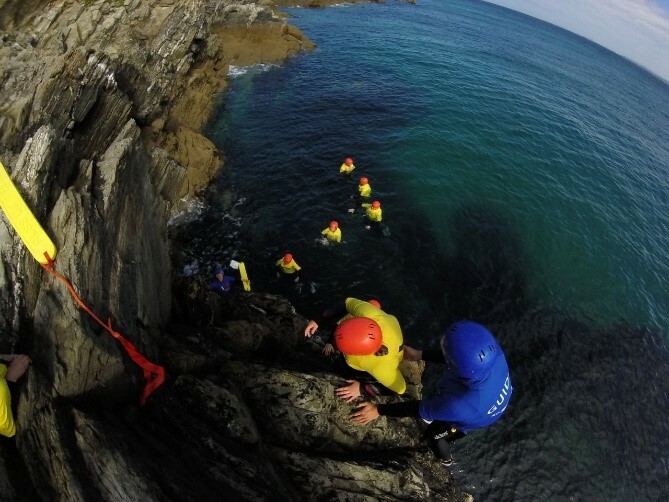 It was a chance for Cadets and adults to take part in a team building exercise that would bring together both individual and group team work exploring their own courage and determination to achieve certain activities that they may have never done before or where to start with very apprehensive due to being taken out of their comfort zone. The 2017 exercise was a good starter package that went down well with the Cadets and staff but took a lot of commitment and funding to achieve due to the highly qualified staff that was used, it was also very difficult to commit too due to the Cadets being away on annual camp and having to ask parents for money to attend a third week away even though the benefits out way. This was heavily funded by the sector and company to test the water and see the results, the unit in question also carried out charity work and bag packing days to raise funds. On that note and with direct permission from the commandant Staff Sergeant Seral Hassan committed to taking the Cadets away again in 2018, so planning started earlier and extended the package by a day to incorporate another activity. As before the cost of the event would be at question but with more time to spare Seral Hassan organised Bag Packing days with the local Tesco much earlier on in the year which raised some money to out way the costs. Cadets and staff where asked to commit earlier and pay money monthly to lighten the burden on parents also a Ulysses Trust Grant was applied for to help keep the cost down. All Cadets that attended took part in raising money by bag packing and Cadet in the community. The long 6-hour minimum journey was in front of us from Cadet Training Centre Blackheath, London to Royal Air Force Base St Mawgan, Cornwall. All Cadets where present with their kit for the week and ready to go, we started on Monday 13th August at 0900hrs and made our way to Cornwall. We arrived in good time for evening meal and settled into the accommodation around 1700hrs. After dinner the Cadets received a full brief on the week’s activities and that in detail of the next day, after squaring their required kit away for the first day of fun the Cadets relaxed in the canteen area of the bar/shop area watching TV. 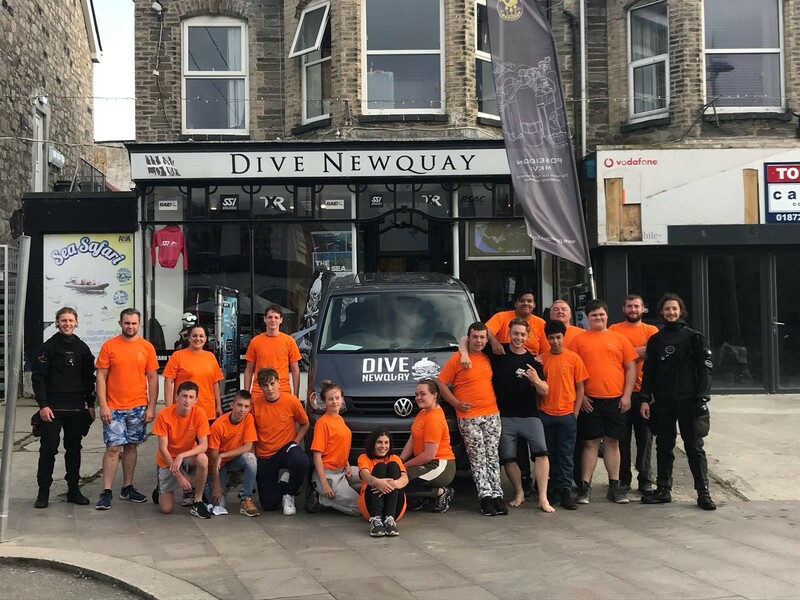 Early rise at 0630hrs for breakfast, the Cadets where ready and on the bus by 0830 to depart to Newquay, the party where split into two where one group would take part in the Sea safari and the second group would have their hand at an introduction to diving. 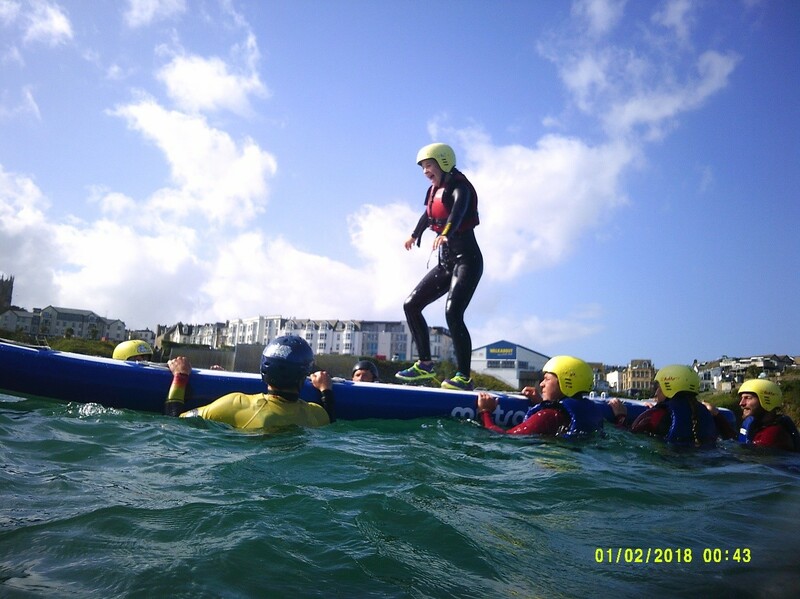 The sea safari consisted of Cadets and obviously the supervision of adults once fully safety briefed loading onto a rigid twin powered safety boat, that would take them around the local shoreline of Newquay to explore the wildlife areas and local history points. Some local wildlife decided to come joining in by visiting the boat to see if any food was available as soon as the sea lion found out we were not a fishing boat he moved on to the next but swimming close by to say hello first. We toured the local sights to see plenty more wildlife chilling on the local rocks and listening to the boat captain informing us of the local history of the areas. The second group remained at the centre where they learned about all the equipment required to scuba dive and that of the basic use as a newbie to the activity, all Cadets and staff familiarised themselves with the equipment and headed for the water (pool) to get used to it and learn the basic principles of scuba diving, these include individual Buoyancy, Regulator (Breathing Drills) drills, decompression and clearing of masks if filled with water. The Cadets and staff spent good part of an hour and half carrying this out before swapping with group one and carrying out the exact activity. 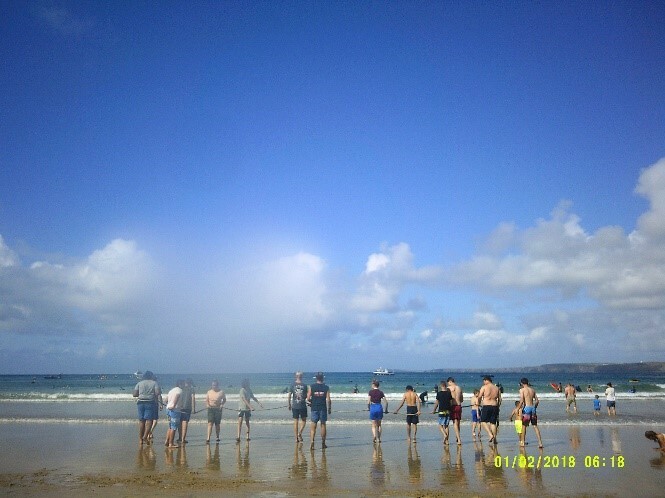 The afternoon saw the group in its entirety head to local diving cove near the old lifeboat station in Newquay, where the Cadets and staff once happy took to the sea with their diving equipment. 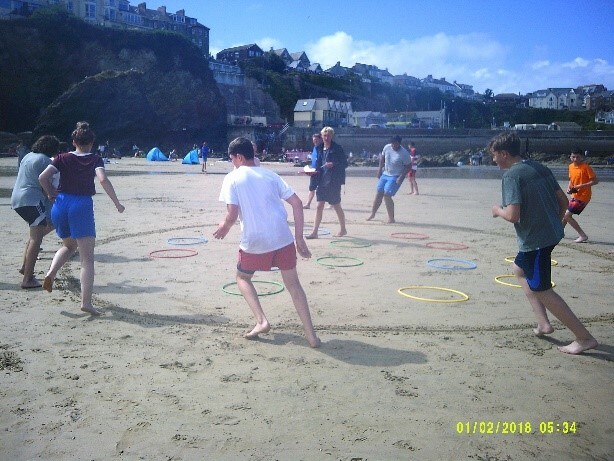 With a later start of 30 mins for 0700, the team were up and ready to go for the day’s activities even though the day before was still apparent in some achey muscles within the group, day three would see the group once again head into the town of Newquay to see two activities coasteering and surfing lessons. 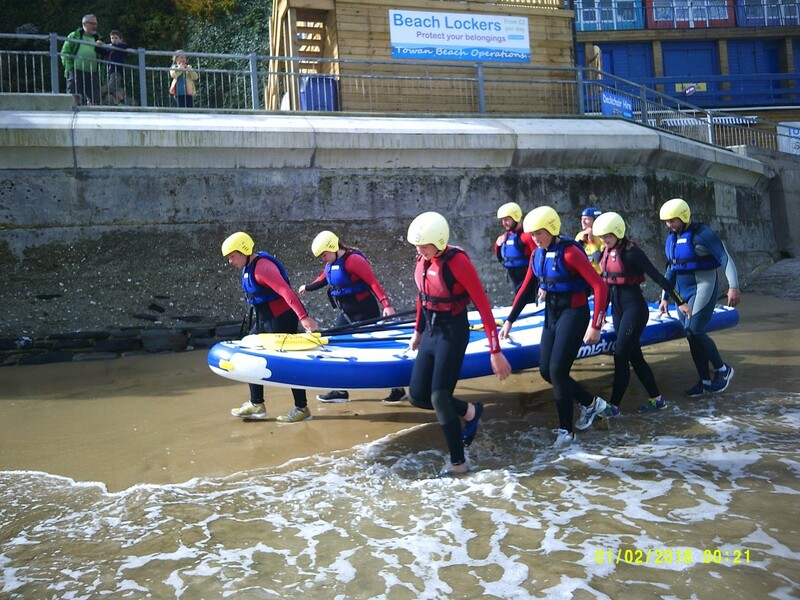 The morning would see every single member zip up into a wet suit again for coasteering. 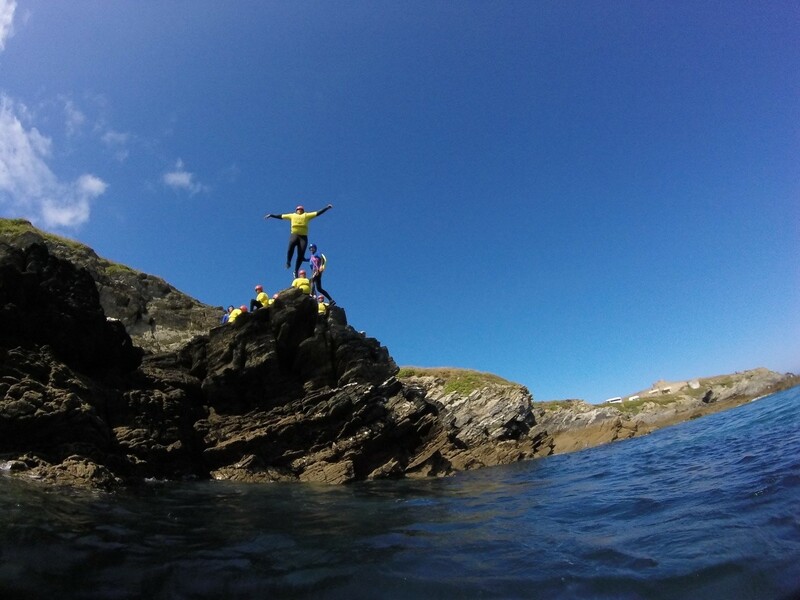 After an in-depth safety brief the team walked to the entry point which was roughly mile away from the centre where they got ready, before heading in, a final reminder of safety tips was given and then it was to the first jump of about 10 metres into the water. 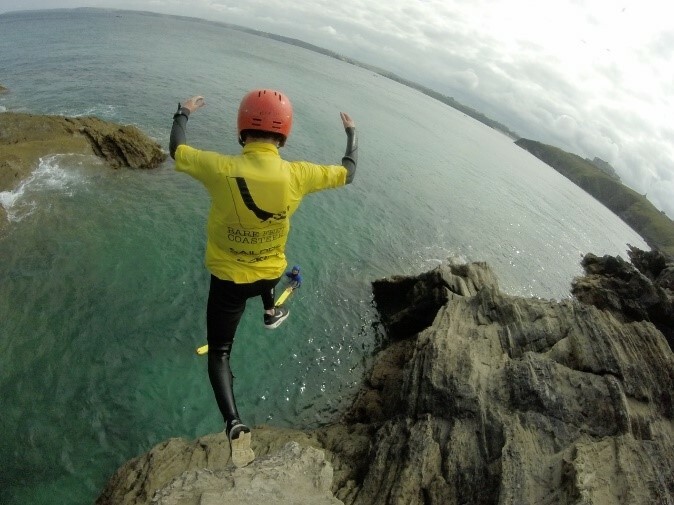 Everyone with no issues at all tackled the jump and was straight into the water, the instructor then moving along the coast wall took us to the next jump which was slightly higher. The nerves started to show a little but pretty much everyone took a deep breath and took the plunge. As the morning went on things started to slow down as the heights increased with people’s nerves, everyone tackled each jump but with encouragement and catching their breath it was easy to tell that everyone had done something that they never thought capable of. Everyone rested for lunch and talked about their nerves or how good they felt from this morning’s achievements. 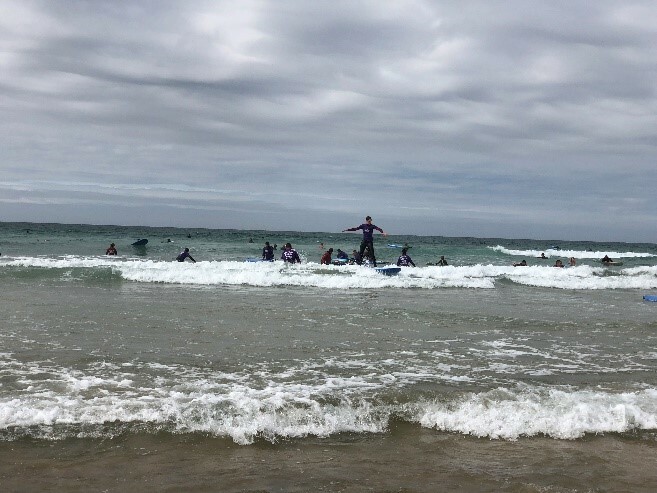 The next stage was a short walk down to the local beach where they would undergo some lessons on surfing, again everyone squeezed back into a wet suit and grabbed a board. The actual lessons lasted a good hour before touching any water which involved technique and warm up exercises. Everyone hit the surf for a good hour obviously still tired from the morning’s activities. This would be a gruelling hour of trying to stay on top of the board instead of beside it in the water. Every Cadet and adult obviously tried their best, but you could see the tiredness settling in. We packed up and headed back to camp for a BBQ, which the Cadets enjoyed and then they hit their beds to try regaining some energy for the next day. RAF St Mawgan has its own cinema which was showing the latest Tom Cruise film which some Cadets finished off the evening watching the film trying not to fall asleep. After a well needed rest the Cadets were up and ready for the final instalment of the AT week. After loading up the transport yet again they left RAF St Mawgan to the local beach of Newquay. 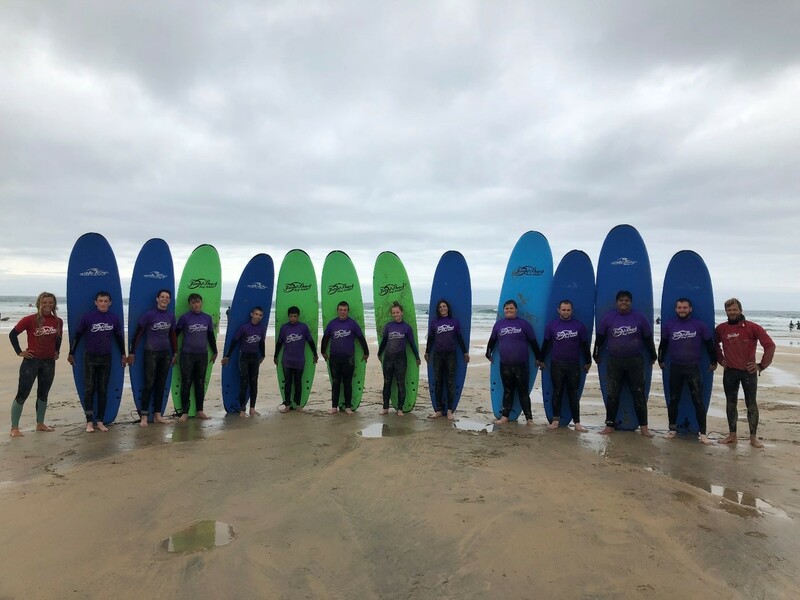 The first activity was a variation of a dragon boat water exercise but on the biggest surf board ever seen that held roughly 8 Cadets and three adults one being the instructor. 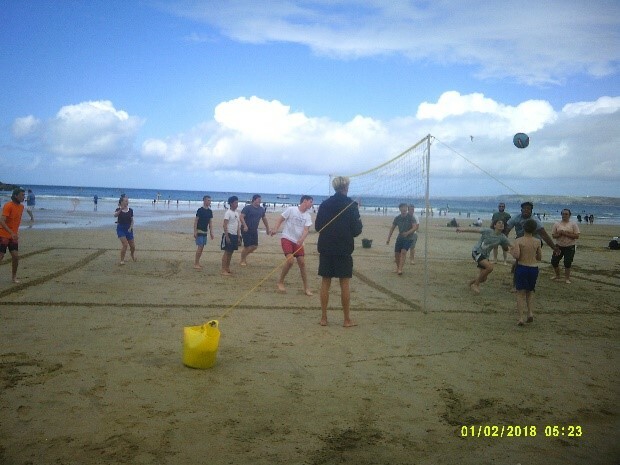 The exercise was carried out in the sea roughly 100metres off-shore where the two oversized boards would be put through their paces with the Cadets having races and confidence games. Each building on the individual but also team effort to win the competition placed in front of them. Again, the morning’s activities proved to be fun but also tiring especially after having varied activities the past few days. 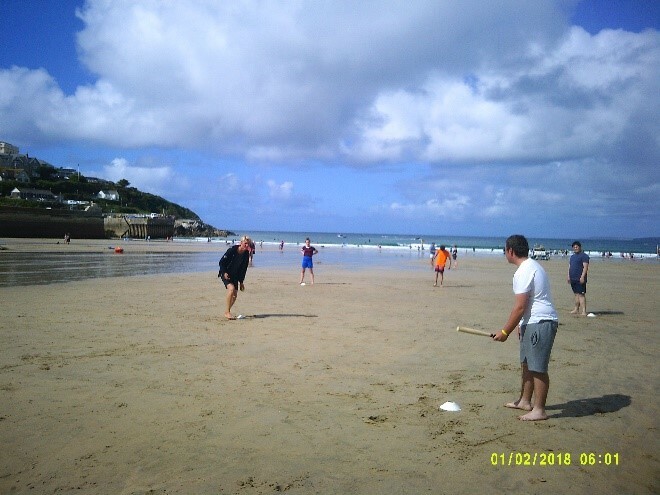 In the afternoon the Cadets and adults changed into their civilian beach type clothing to take part in what was called the Cornish Challenge a varied bag of activities based on the land, ranging from volley ball to rounders and games the Cadets had never seen before. Being the last day and knowing how tired the Cadets may be, they made their way back to camp a bit earlier then normal to get their stuff packed and ready for the departure home the next day. AFter finishing packing, most Cadets headed to the canteen relaxation area to catch up on the week’s TV. The day of gloom the homeward journey starting off a 9am the minibus and van departed Cornwall for the journey home. As expected all the Cadets were straight asleep for most of the journey except when it came to a pitstop for a Kentucky Fried Chicken. The transport departed the rest stop and continued the final leg home arriving back in London for roughly 4pm. An eventful 5 days that saw both the Cadets and adults try out new skills that they don’t get the opportunity of doing back in London. It also made new friends between the Cadets which came from their encouragement to each other to get through tasks that otherwise they wouldn’t dream of attempting. This goes for the adults as well. Regimental Sergeant Major McMorran who won’t admit it but has a slight problem with heights who still cautious but overcame a fear of height. 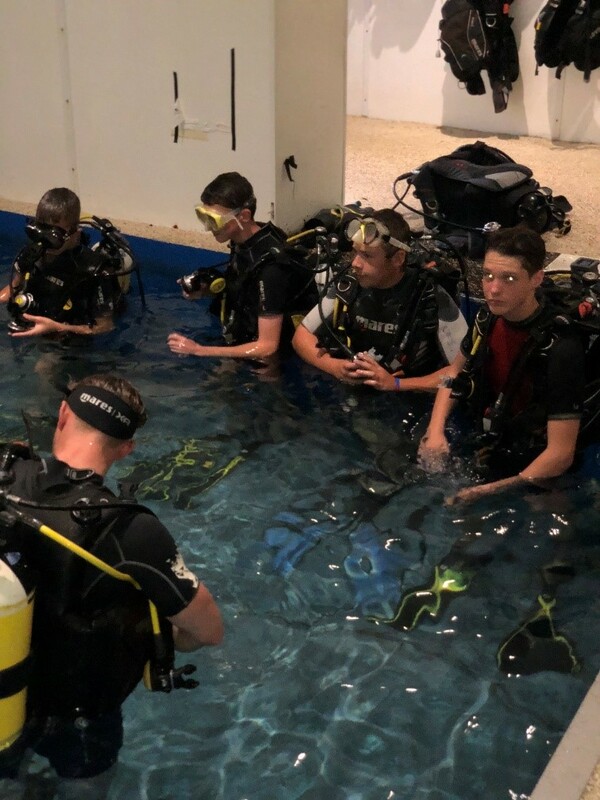 Cadet Fish from Woolwich detachment who knowing it was a water-based week was very nervous about taking part in scuba diving but with encouragement took part and spent 5 minutes under water breathing with the equipment. The week away was very well planned and delivered, the staff and cadets reached new heights in their personal courage and activities achieved, however the planning and cost is always a big factor and without the various organisations that delivered the training and the support received from certain individuals and the Ulysses Trust it would not go ahead.